For more than two decades Amy Sherman has been working in the helping field, inspiring oth-ers to live their best life. As a therapist she has worked with individuals and couples struggling with personal and professional issues that have kept them from the happiness and joy they de-serve. She founded Baby Boomers’ Network as a resource for boomers to transition through midlife. As a boomer herself, she is aware of the special issues boomers face and is committed to help-ing others reinvent themselves and reach their ideal goals. Amy’s newest book, co-authored with her sister, Rosalind Sedacca, CCT, is titled, 99 Things Women Wish They Knew Before Dating After 40, 50 & Yes, 60! 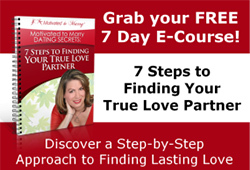 This easy-to-read guide is packed with wisdom for women who are moving on and ready to create a loving, lasting and fulfilling relationship in the years ahead. Amy is also the author of the e-book, “Distress-Free Aging: A Boomer’s Guide to Creating a Ful-filled and Purposeful Life.” The ten strategies outlined offer boomers a guideline for transform-ing their thinking towards success, fulfillment and achieving their desired goals. In addition, Amy co-created Anger Management Courses for divorced and divorcing co-parents to help them cope during this difficult life transition. Amy has been awarded first place winner of the 2009 Victorious Woman of the Month Award. She is also a Contributing Columnist to www.HuffingtonPost.com and other blogs for boomers and those going through divorce. What led Amy to want to work with the 40 plus community? What’s the difference Dating over 40 than in your 20’s or 30’s? What’s the one thing Amy wished she knew sooner than later? What are the other 4 things Amy wished she knew sooner? Where does Amy see her clients get tripped up in dating? Where does Amy see as the best places to meet 40 plus singles? This free tip sheet offers fifteen simple guidelines for overcoming your challenges and insecurities in finding your ideal partner. Good interview with Amy Sherman. One thing, however: I wish you coaches would recognize that some of us seeking marriage are in our 70s! I am 77, divorced at 75, and fully intend to meet my true life partner soon. I truly look much younger than I am, I’m an active book editor and copywriter, and I deserve to meet my guy this year! Thanks Linda. Yes, I try to include all. However, Amy Sherman’s book actually is dating over 40’s, 50’s and beyond. People find love at all ages. I have some very active 70 year old clients! Thanks for listening to the podcast.